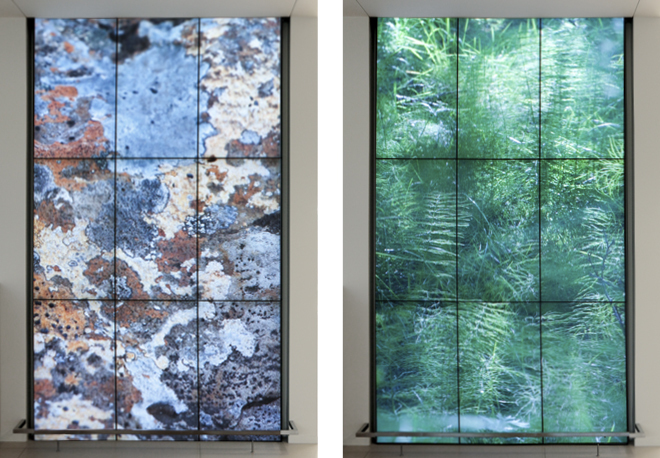 a permanent video installation in four parts. 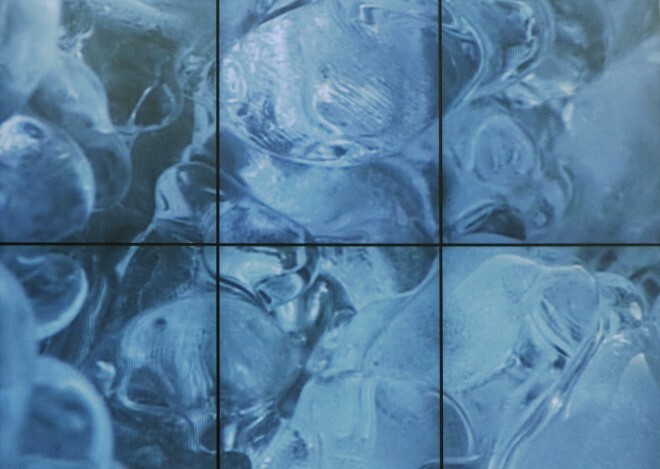 Presented on a video wall, dimensions; 310 × 175 cm. Video; 10-16 min loops. The artist seeks inspiration from Iceland, the country of her origin. The work, a detailed observation of the wonders of our nature, reflects the artist´s perception of nature. It is a reflection on an ever changing landscape, a living nature, the origin of our being. Each part of the tetralogy focuses on a specific element of nature and the natural forces. The first part is Water, the fundamental element for all life. 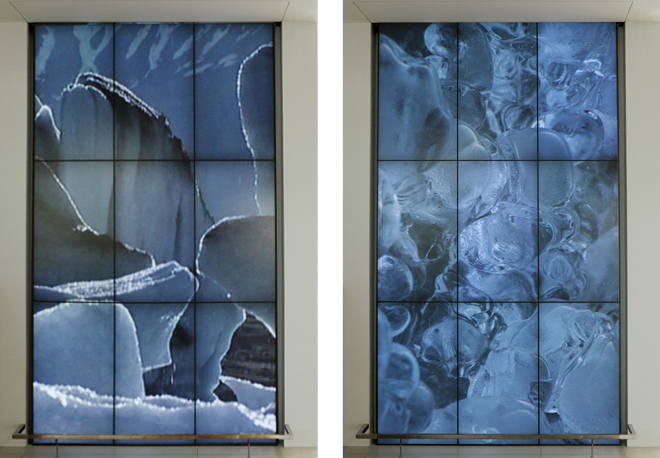 The work contemplates the many aspects of the element, in frosen or liquid form. The second part Moss, is a reflection on the modest but resilient native flora, plants that are found on the tops of windswept mountains, or in the hollows of lava fields, the hardy pioneers that settled where no other plants survived. Reflections, will be completed by the end of 2014. Each element will be screened for several months at a time, 24 hours a day. 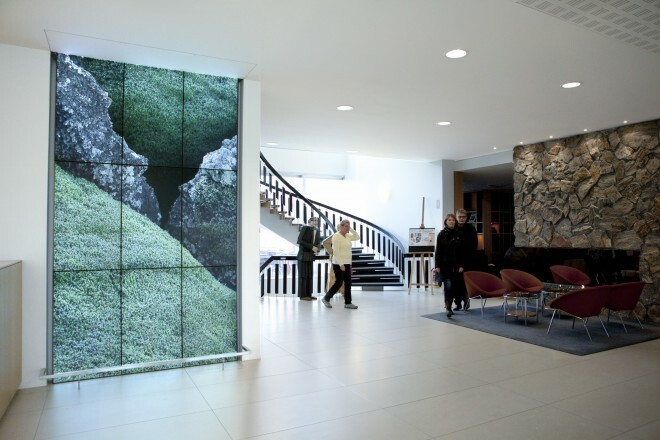 The first part Water was inaugurated in 2011 at the opening of the hotel after it being totally renovation. The second part Moss had its premier on the 13th of June 2013.